With Europe and Australia officially out, we speculated that the next generation Chevrolet Volt would not be sold outside of North America. General Motors has just confirmed that the next iteration of the Chevrolet Volt will be sold in South Korea starting next year. Perhaps the new Volt is entering this market as production of the Chevrolet Spark EV in Changwon, South Korea has turned that country into the #1 seller of the model, and GM hopes that success will extend also to the new Volt. 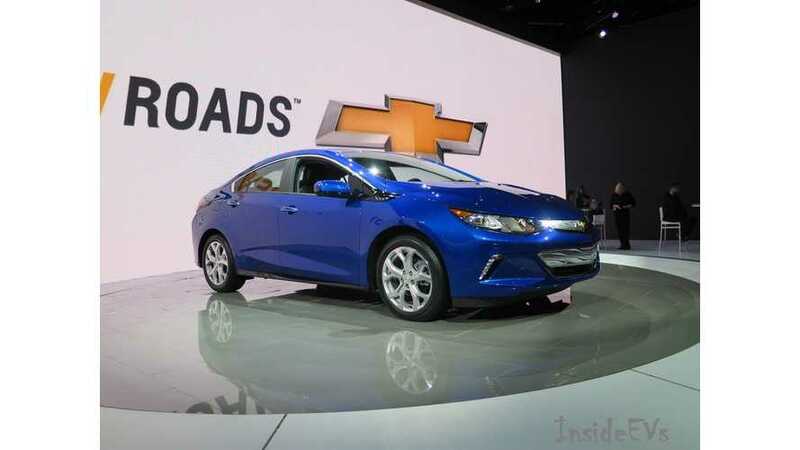 ILSAN, South Korea — GM Korea, the local unit of U.S. automaker General Motors, said Monday it will introduce the next-generation Chevrolet Volt plug-in hybrid to the South Korean market next year, showcasing its state-of-the-art green car technology to local customers. The second-generation Volt, unveiled at the Chicago Auto Show in January, can travel for about 80 kilometers on a fully-charged battery alone, and the range-extending gasoline engine pushes the driving range to more than 650 kilometers, according to the company. The Volt, which was first launched in 2010 in the United States and later in the European market, runs as a 100-percent battery-powered electric vehicle until the battery drops to a certain level, when it then switches to an internal combustion engine. Some 75,000 units of the model have been sold in the U.S. market since its debut. “Our goal is not just to keep up the (electric car) trend, but to lead it and that’s why I am very pleased to officially announce the new generation Volt will be introduced in South Korea next year,” GM Korea chief executive Sergio Rocha told reporters. Other details, including the exact date of the launch and the price, were not disclosed. “Volt will be a gamechanger in the domestic market with its industry-leading electrification technology and outstanding features,” Rocha said during a media event held on the sidelines of the International Electric Vehicle Symposium that kicked off in Ilsan, west of Seoul, earlier in the day for a three-day run. Although not a pure battery-run car, such as Japanese carmaker Nissan Motor Co.’s plug-in electric vehicle LEAF, company officials said the redesigned Volt is “practically” an electric car with its range-extending technology. 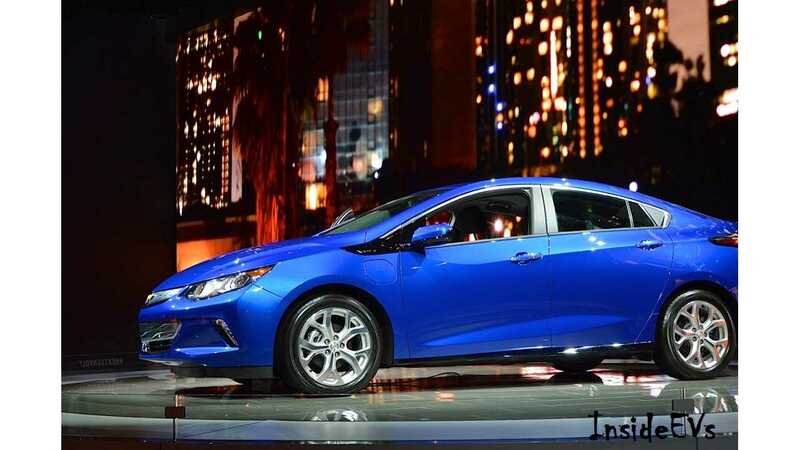 “Because the next-generation Volt will have more electric energy in the battery, and the drive system is more electrically efficient, we expect 90 percent of all trips to be pure electric, so to me, it’s extremely practical, said Larry T. Nitz, executive director of General Motors. 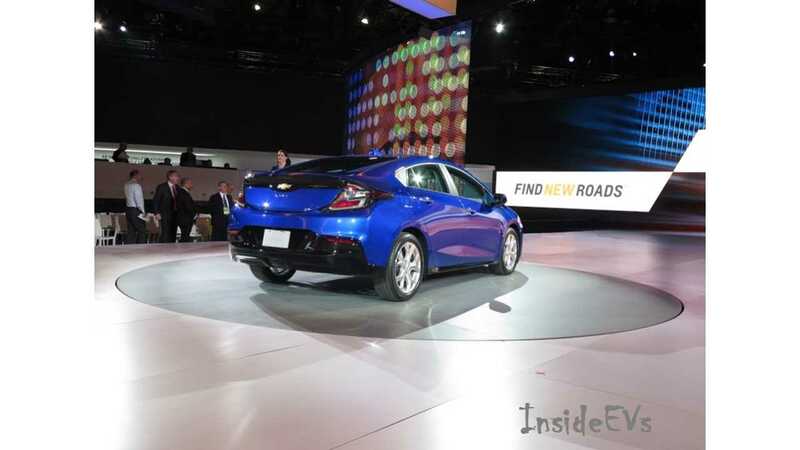 Although GM Korea anticipates the new Volt to “play a key role” in helping the country’s goal of popularizing electric cars and reducing carbon emissions down the road, the automaker said it does have any plans for local production. “We are not considering producing the next-generation Volt in South Korea, we are pleased, and we are happy, with the production of the current Chevrolet Spark EV,” Rocha said. GM Korea currently manufactures some of its Chevrolet Spark city cars at the carmaker’s Changwon plant, 400 kilometers southeast of Seoul. The GM Korea chief denied media reports that General Motors is looking to reduce its production here and relocate most of its manufacturing facilities to India because of rising labor costs in South Korea. “That is what we are not going to do … yes, we are much concerned about labor costs, but not only GM in Korea, but in the whole industry,” Rocha said. “We are cleaning the Changwon plant to build the new generation of the global Spark.